This is something a lot of people think when it comes to transitioning their family to a paleo-style diet. It might even be what your family says to you! However, if you're trying to reverse autoimmune disease, you're much more likely to be successful on your healing diet if you aren't constantly surrounded by foods you cannot eat. Additionally, our families' health can benefit from improvements in their eating habits as well. So, what's the secret to helping your family make the switch? Today, I have three guests sharing their advice and experiences transitioning spouses, young children, teenagers, and even picky eaters. It can be done! Sophie Van Tiggelen is the blogger behind A Squirrel in the Kitchen. 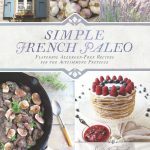 and is the author of the AIP cookbook: Simple French Paleo. 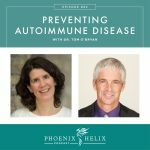 She has Hashimoto's which is she is reversing through the Paleo Autoimmune Protocol (AIP). 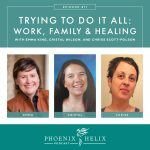 When her autoimmune disease was at its worst, she experienced severe anxiety, brain fog, insomnia, exhaustion, swollen thyroid, joint pain and digestive issues. She was unable to work or even complete household chores. Now, she has improved so much she feels like a completely different person and lives a normal life. You can read more of her healing story here: Sophie's Story. She's also married with 3 teenagers at home. 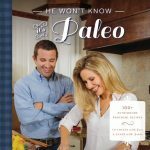 Bre'anna Emmitt is the blogger behind He Won't Know It's Paleo. She's also the author of the cookbook by the same name. She has celiac and Hashimoto's which is is reversing through the AIP. She had intermittent symptoms in college which improved during her first two pregnancies. (Remission is common with Hashimoto's during pregnancy.) Her symptoms worsened when her second child stopped nursing and worsened again when her third child stopped nursing. At her worst, she experienced swelling, weight gain, hair loss, numbness, shooting pains, canker sores, and neurological issues. She did a gluten challenge at her doctor's request which resulted in a 9 month flare including a hospital stay, which is how she was diagnosed celiac. Today, the AIP has restored her health. Many days, she is 100% symptom-free. She's also married with 3 young children at home and one on the way. 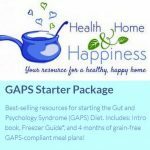 Cara Comini is the blogger behind Health Home and Happiness, and the author of the GAPS Starter Kit. She started looking into healing diets when her daughter Hannah showed signs of autism. She started with gluten-free/casein-free and saw immediate improvements but they didn't last. It was the GAPS diet that turned her health around. Her daughter still has learning disabilities, but has improved so much she no longer meets the diagnostic criteria for autism. She has two other children at home, and her whole family has benefited from the GAPS diet. To learn more about the similarities and differences between GAPS and Paleo, read this article: Comparison of 3 Healing Diets. Bre'anna: She removed all gluten from the house first, and that was a shock to her husband. So, she decided she wouldn't tell him about the other foods she started removing from their diet. Instead, she focused on cooking paleo meals so delicious he would have no complaints. It wasn't until he started bragging about his health that she told him he'd been eating autoimmune paleo meals for the past 6 months. Those recipes became the He Won't Know It's Paleo Cookbook. Sophie: She was in such a bad place with her health that her husband was willing to do anything he could to help her. 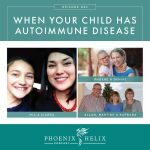 While she was the one with autoimmune disease, her whole family was impacted. She also didn't stress the restrictions, but rather the positives of a healing diet: eating simple, real food that hasn't been tampered with, and rediscovering what real food is meant to taste like. Sophie wasn't a good cook when she started. Mistakes in the kitchen were part of her learning process. Now, she's an amazing cook, shown clearly in the beauty of her food blog. So if you're a novice cook, don't worry – anyone can learn! Eileen: My husband and I have a deal: Only foods I can eat are allowed in the house, and we both eat paleo meals at home. However, he eats whatever he wants outside of the house – snacks at work, lunch with friends, making him about 80/20 paleo. Cara: Her children were toddlers, and she simply put a lock on the fridge/cabinets that held non-GAPS foods, so they no longer had free access to those. She then fed them GAPS foods only. Now, her children are older, and while they follow the GAPS diet at home, they aren't so strict outside the house. However, if behavioral or skin issues return, she explains the connection between those issues and the food they eat, and her children agree to return to strict GAPS. They have been raised with the knowledge of the power of food. Bre'anna: Her children are 7, 5 and 3. Her middle son is celiac, so he's now completely gluten-free. His eczema disappeared when they made that change. Her other children don't have any negative reactions to gluten, so while they eat paleo at home, she lets them eat standard American food at school functions and friend's homes. Her family eats the same food she does for meals, the only exception being that she might cook an additional side dish for them, such as white rice. Sophie: Her children are 16, 18 and 20. They were all teenagers when she made the switch to AIP 3 years ago. Like Bre'anna, she doesn't cook separately for her children. They all share AIP meals at home. However, they have their own snacks and make their own choices for breakfast, and also when they are outside the house. Even so, her daughters have seen improvements in their health by eating mostly paleo: less PMS, and pain relief after injury. House rules: Her house is 100% gluten-free, no exceptions. She explained cross-contamination to her family, so they understood the dangers of bringing it into the house. Her house is also 100% junk food-free. Don't scare your family with big announcements about a change in diet. Make the changes slowly, one step at a time. Don't try to change everything at once. First, replace processed food with healthier versions. Then slowly reduce packaged foods altogether. Next, start incorporating paleo side dishes into meals: zucchini noodles in place of pasta, carrot fries in place of french fries, cauliflower mash in place of mashed potatoes, and cauliflower “rice” instead of regular rice. Always keep plenty of healthy snacks on hand, so no one's stuck being hungry: beef jerky, chicken drumsticks, carrot sticks, avocados, fruit, etc. Resource: here's an e-cookbook of Paleo AIP Snacks. Cook delicious recipes, so your family will see that paleo can be yummy. Ask your children to try every new meal. It might take time for them to become accustomed to new flavors. Praise your children when they make healthy food choices. 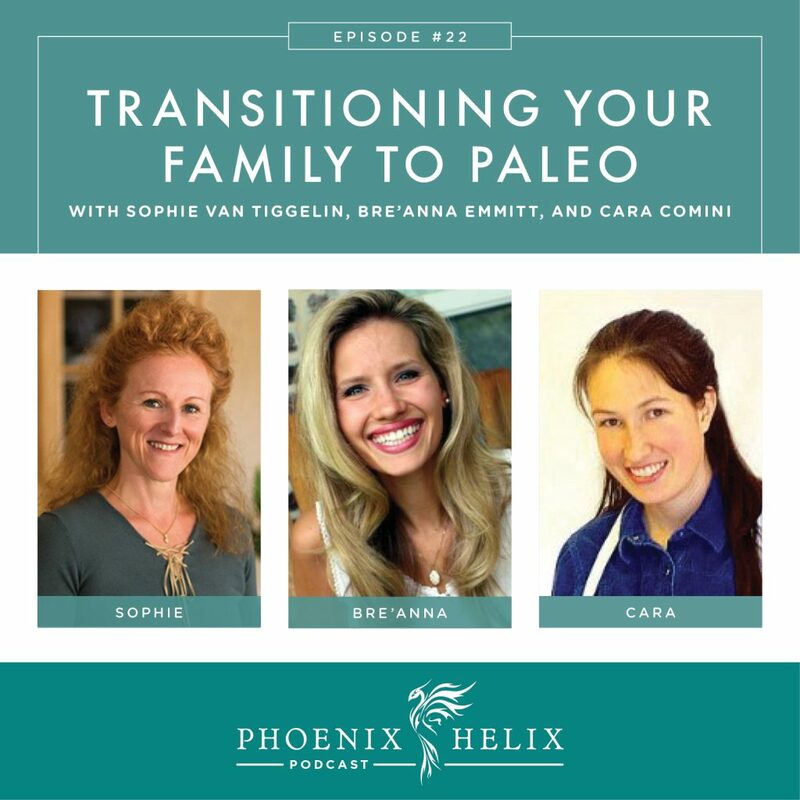 Understand that paleo is a journey and your family doesn't need to be converted overnight. Sophie's article with more tips on her website. 3 of her family's favorite recipes: Chicken Soup with Avocado, Slow Cooker Chicken Stew with Plums Carrots and Apples, and Chicken and Meatballs Blanquette. House rules: No food dyes, corn syrup, or any foods with artificial ingredients. She keeps some non-GAPS snacks in the cupboard (like corn chips and chocolate), but both she and her kids find it easy to resist at this point. If that's not the case, it's best to keep it out of the house. She follows the recommendations in the book French Kids Eat Everything, which includes no snacking. Children are more likely to eat what they're served for meals when they aren't filled up on snacks. She serves fruit for dessert with daily dinner, and only makes special GAPS-friendly desserts on the weekends. House rules: No gluten and no soy (soy can also flare her son's eczema). While her children are mostly paleo, her priority is the foods she adds, rather than the foods to avoid. She focuses on nutrient-density with high quality meats and veggies. If they eat all they're vegetables, she'll treat them with Homemade Coconut Milk Ice Cream (which is healthy, too). Favorite recipes: Asian Lettuce Wraps, anything grilled, and sweet potato fries. Teresa (Facebook Reader): What made a big difference for her 11 year-old picky eater was getting some good paleo cookbooks, and letting him pick 3 meals they would make each week and help prepare the meals. He was much more likely to try them and like them when he had some choice over what was cooked. Some good paleo cookbooks for kids: Against All Grain and Eat Like a Dinosaur. And here's Bre'anna's AIP cookbook with kid-friendly recipes: He Won't Know It's Paleo. Cara recommends the GAPS Diet to break the “picky eater” pattern, because it quickly starves the bacteria that causes people to crave sugary and starchy foods. If you stick to the GAPS diet 100% for 3 days, the bacteria in the gut will have shifted enough that your children will no longer have the same food cravings that made them picky eaters, and they'll actually start craving nutrient-dense foods. Even if the food they eat during those 3 days is limited (like chicken strips and applesauce), let them eat that and only that, and 90% of the time, their food choices will expand in 3 days. Just make sure whatever food they eat is on the GAPS-legal list. And it's essential that there is no cheating. One bite of an unallowed food, and you have to start over for another 3 days. If your child has sensory issues, pureeing food can also help them eat a wider variety. Article: How to Get Kids with Sensory Issues on the GAPS Diet. Bre'anna: She's still 100% in charge of her younger children's food choices, but her oldest is more independent. She tries to teach him about the connection between food and health, and encourages him to make healthy choices when he can. He often does! But she tries not to worry when he doesn't. Right now, he has no negative reactions to any foods. Angie (from Autoimmune Wellness): With teenage girls, it's important to strike a balance between educating them about healthy food choices, without triggering food obsessions that might lead to an eating disorder at this vulnerable age. Her teenage daughter is 80/20 paleo, and she feels that strikes a good balance between enhancing her health, letting her grow in independence, and be a “normal” kid. Sophie: Her daughters have cars and jobs and are independent in their choices outside the home. She encourages them to make healthy choices and doesn't worry when they don't. You can't control other people. She feeds them well when they are home. If they make poor food choices, they feel the negative effects, which educates them about the relationship between food and their bodies. Sophie: She feels proud that her children have learned about the connection between food and health at a much younger age than she did. If they ever do develop health problems, they have seen her as a role model for reversing that process. It's all about “planting the seeds” of knowledge. Bre'anna: She wrote her cookbook not just to help families now, but also in case her children ever need a healing diet as adults. They'll have the comfort food recipes of their childhood. Sophie blogs at A Squirrel in the Kitchen. Bre'anna blogs at He Won't Know It's Paleo. Cara blogs at Health Home and Happiness.